Easy to Learn Korean 1272 – Hot and humid (part two). Posted in Series	| Tagged Apple Pay, comfortable, deluxe, fan, hot and humid, https://www.t-money.co.kr, I drank a cold drink and feel refreshed., indoors, Last week the A/C broke but tomorrow they’ll come and fix it., passenger, T-Money, taxi driver, taxi meter, The food is spicy and so I’m very sweaty., The office is big but the air conditioner is small and so it’s hot inside., to be broken, To feel cool, Uber, UberBlack, 고장나다, 사무실은 크지만 에어컨이 작아서 실내가 아주 더워요., 선풍기, 시원하다, 시원한 음료수를 마셨더니 시원해졌어요., 실내, 에어컨, 음식이 매워서 땀을 많이 흘렸어요., 지난주에 에어컨 고장났지만 내일 고치러 온다고 해요. 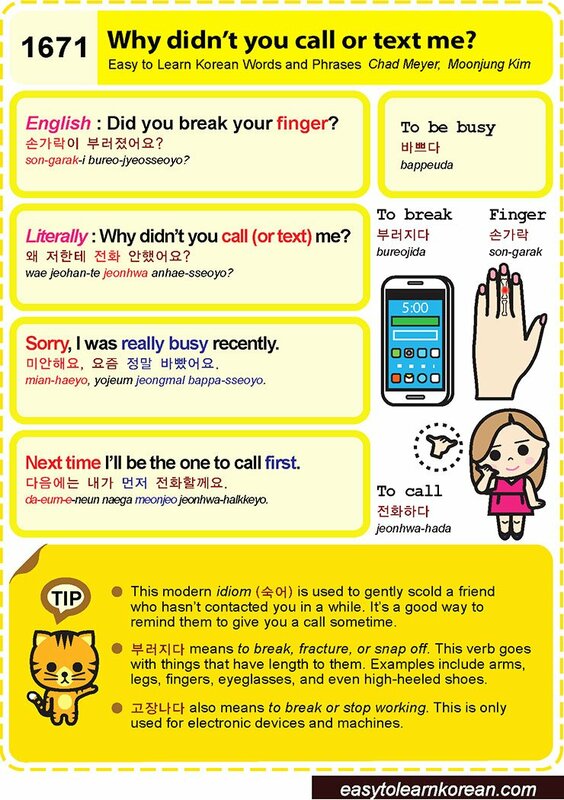 Easy to Learn Korean 1154 – To break and repair.